The Wismec CB-60 Starter Kit is the perfect setup for vapers that just love those mouth to lung hits. It was created to be used for salt based e-liquid and other high nicotine e-juices and e-liquids. 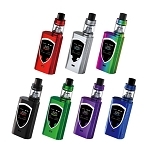 The CB-60 by Wismec was designed in collaboration with Wismec and Jake Barney. 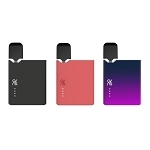 This small vaporizer comes with an affordable price tag and truly packs a punch! The Wismec CB-60 is a sleek and stylish vaporizer that has a compact design making it ideal for vapers on the move. The Wismec CB-60 is capable of firing at 60 watts, perfect for vapers looking to get into the vaping market. You wonï¾’t have to worry about constantly recharging either. The Wismec CB-60 has a large 2300 mAh internal battery which is easily charged via the micro USB port located on the front of the vaporizer. The Wismec CB-60 comes paired with the AMOR NS tank. 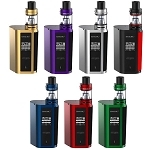 The AMOR NS tank was designed by Wismec to be a mouth to lung vaping tank. It had a stylish and compact size, coming in at just 22 mm. 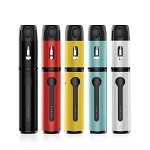 The capacity of the AMOR NS tank is a convenient 2.0 ml size, perfect for your favorite e-liquid or e-juice. The AMOR NS takes advantage of the Wismec WS03 MTL atomizer head to provide vapers with great clouds of vapor and intense flavor. This low wattage coil and tank system are great for preserving the life of your battery while still providing great vapor and flavor production.